The Holiday Village Flamingo Beach are located close to the beach and the resort centre. The complex offers a good range of facilities and activities, ideal for families and couples. The facilities provided for guests includes a 24 hour reception, laundry facilities, room service, supermarket and WiFi Internet access. Within the complex there are 3 swimming pools, sun terrace with loungers, a mini spa, daytime activities such as archery, raft building, multi purpose sports court, tennis and football as well as evening entertainment with various shows and cabaret. For the younger guests there is a children's pool, playground, kid's club and entertainment. There are 2 a la carte restaurants, buffet restaurant with themed nights, pool bar and a sports bar. Comprising of 284 apartments and 21 studios, all equipped with a bathroom, living room, kitchenette, safety deposit box (local charge), satellite television, telephone and ceiling fan. The all inclusive package includes breakfast, lunch and dinner, all served buffet style in the main restaurant. One visit per week to each of the a la carte restaurants are also included. Snacks are also offered at selected times during the day. Locally produced alcoholic and soft drinks are available from various outlets according to individual opening times. The Holiday Village Flamingo Beach is ideally located on the sea front and close to many shops, bars and restaurants. 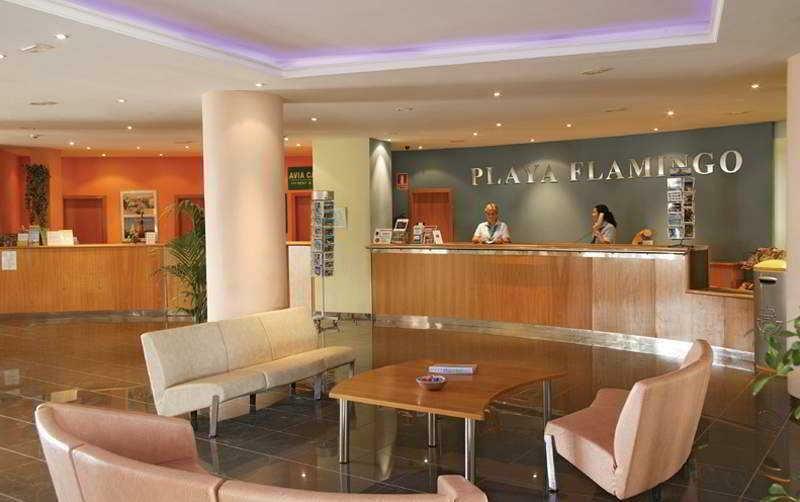 The resort of Playa Blanca is approx 37km from Lanzarote Airport. Food great, apartment excellent, cleaning of room excellent, beach wonderful.